Waterford County Museum held our second event for Heritage week here at the museum on Tuesday 21st August. Willie Fraher gave a talk on the Chearnley Family of Salterbridge House near Cappoquin. 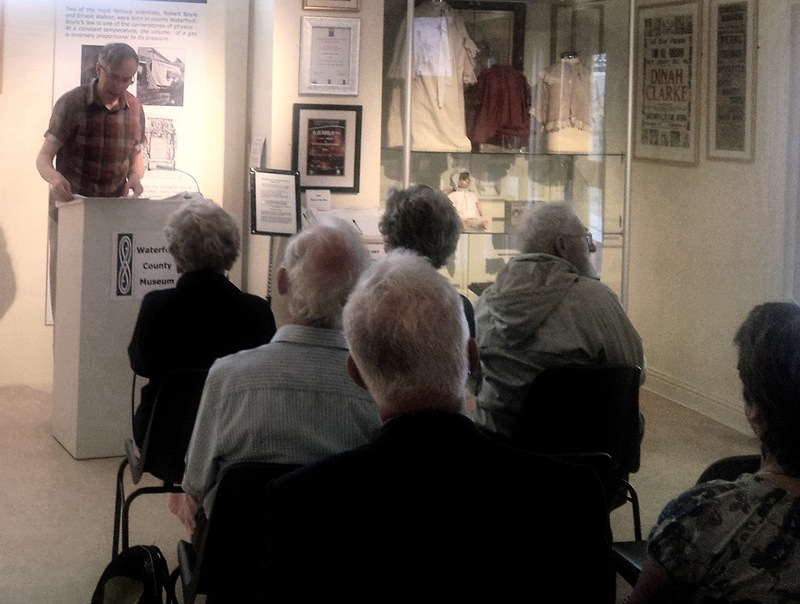 The event was well attended and there was plenty of opportunity for everyone to ask questions and view the many original Chearnley papers on display in the Museum. A special thanks to Willie Fraher for his research and presentation. The original Chearnley papers are on display in the Museum please pop in to view. The talk will be repeated on Friday 24th August at 1.00 in the Museum all are welcome.